If you are going to run a successful blog you need to have the right tools. Luckily if your blog utilizes the power of WordPress, you can make sure that there are a wide variety of tools to help you improve your site. In this post, I’d like to share with you the Best 11 WordPress Navigation & Menu plugins to improve the navigation experience on your WordPress sites. I hope you like it. 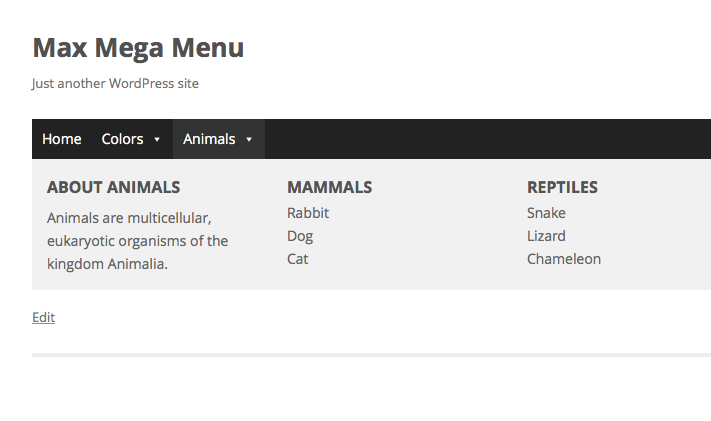 This menu feature for bloggers automatically converts all of your existing menus into a mega menu format. This ensures that you can have an easily accessible menu for your blog that’s touch-friendly and available on any potential device. You can use the mega style menu with almost any theme and have customizable touches if you want to start a Woocommerce store, expand the pages of your blog or adding new features. Builds upon the standard WordPress menus system. 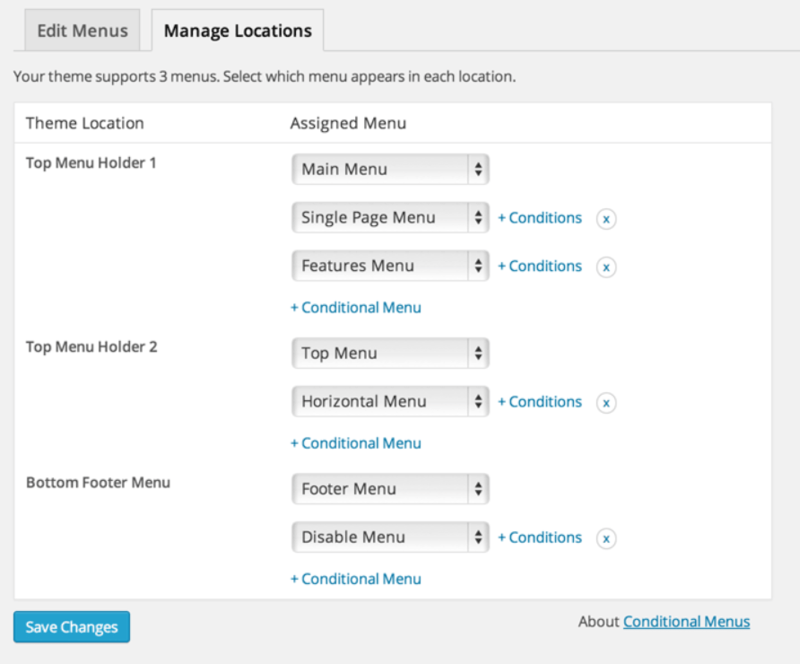 Supports multiple menu locations each with their own configuration. Drag and Drop Mega Menu builder. Display WordPress Widgets in your menu. 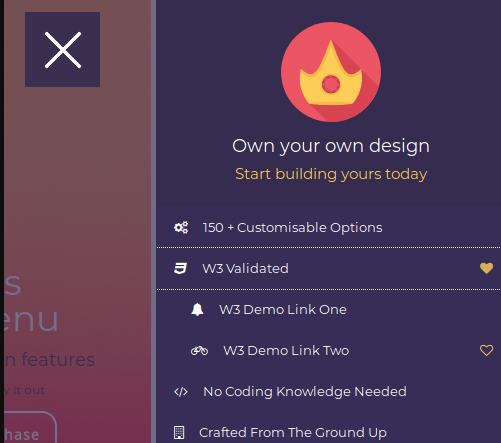 Customise the styling of your menus using a built in theme editor. Supports Flyout (traditional) or Mega Menu sub menu styles. Hover, Hover Intent or Click event to open sub menus. Fade, Fade Up, Slide Up or Slide sub menu transitions. Add icons to menu items. Menu item options including Hide Text, Disable Link, Hide on Mobile etc. Align menu items to the left or right of the menu bar. Align sub menus to left or right of parent menu item. Responsive Menu is a WordPress plugin that allows you to convert your current theme site navigation into a mobile-friendly, W3C compliant responsive design in seconds. Ability to upload logos, sub-arrow images etc. 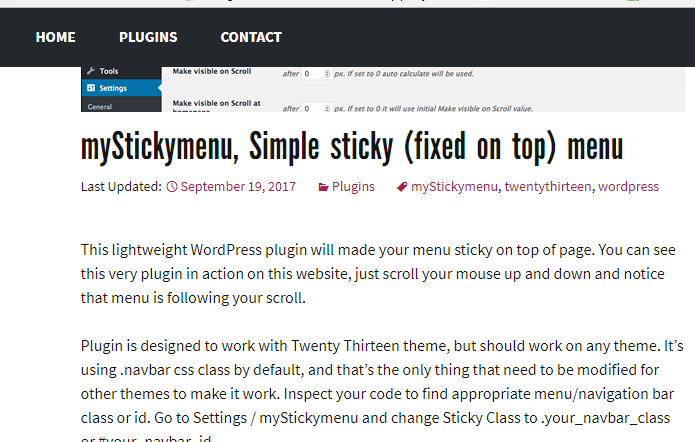 The myStickymenu plugin makes your site navigation bar always be sticky on the top of the web page when scrolling down. Supports multiple languages and responsive WordPress themes. Auto disables on small screens. Allows to auto-disable on particular post types. A mobile-friendly menu plugin for WordPress, features background images, custom styling, CSS3 transitions, and much more. Control what menu items your site’s visitors see, based on visibility rules. Conditional Menus is a simple yet useful WordPress plugin which allows you to swap the menus in the theme as per specific conditions. You can have different menus in different posts, pages, categories, archive pages, etc. It works with any WordPress theme that uses the standard WordPress menu function. 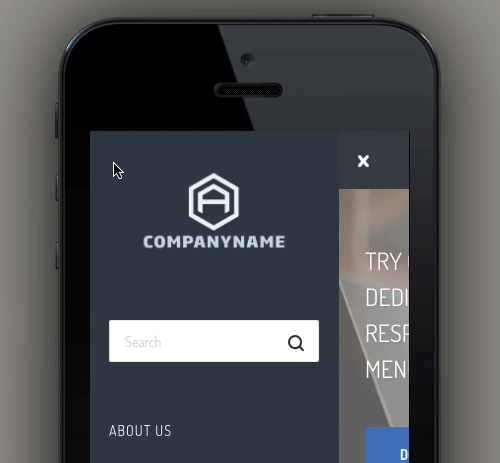 ShiftNav is an awesome mobile menu for WordPress. It looks and acts like native app off-canvas slide-out menus for popular apps like Facebook, Gmail, etc. Dropdown Menu widget adds a beautiful dropdown menu, listing pages and categories of your blog. You can also turn your WordPress navigation menus into beautiful dropdown menus using this plugin. A WordPress plugin to create rich and stunning navigation menus for your website. Make menu themes, and customize the styles using drag-and-drop tools. 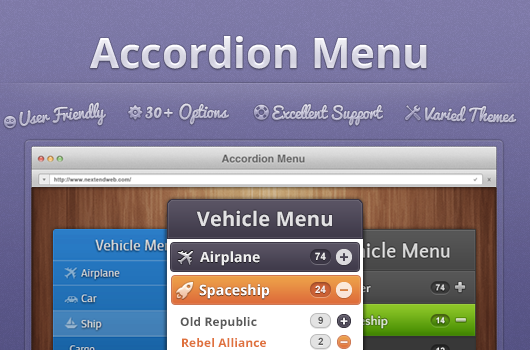 Beautify the menu items with custom colors, fonts, and attributes. Use Mega Menu to build a navigation menu beyond imagination. Drag and drop menu builder panel. Menu labelling/badge, ex: hot, new, etc. The Nextend Accordion Menu allows you to create a smooth, touch-friendly, multi-level, Accordion-style navigation menu on your WordPress website. More than 30 parameters to set technically everything, some example: Parent item as link, Accordion mode, Activator event, Always opened, Menu slice/splice, Animations, Menu class suffix, Icons, Menu counter etc. When it comes to improving navigation on almost any type of WordPress website, these menu plugins can help almost any blog or whether they are just starting out or a full professional, to improve their websites. These are tools that you can use for the future expansion of your website as well.